Things I know to be true about this week’s show is that Georgia Adamason is an Adelaide gal who’s travelled the world plying her stagecraft and a year after winning a Sydney Theatre Award, she is back in South Australia performing in the State Theatre Company’s Things I Know To Be True. Well, one thing we know to be true is Georgia is not only talented AND related to Steve Davis, she’s also on The Adelaide Show. Goddamn Anything by Wasted Wanderers. The SA Drink Of The Week is Heartland’s Directors Cut Shiraz. In IS IT NEWS, Nigel tests Steve and Georgia on Shakespeare. We have a Radio National identity before the Adelaide Visa Council. This week: The Encore of Increasing The Retirement Age (and click to read Max’s blog on the topic). 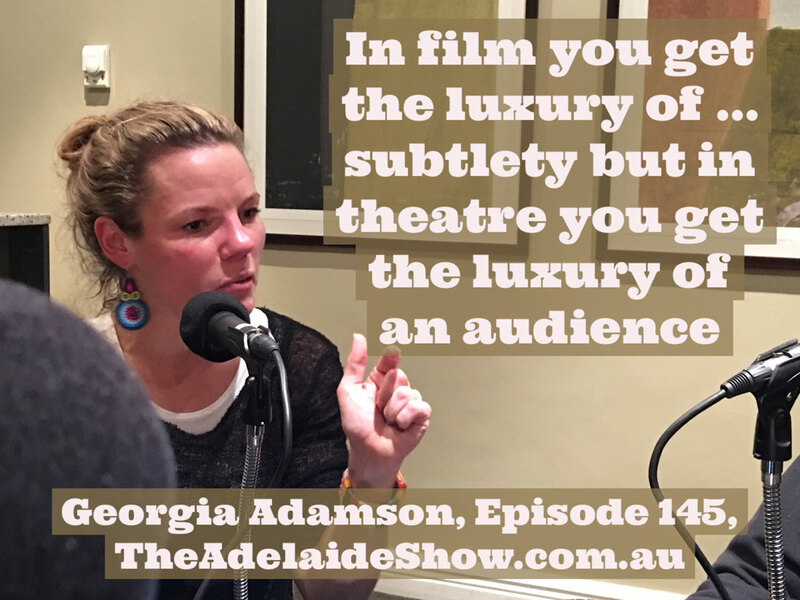 Georgia Adamason is an Adelaide gal who’s travelled the world plying her stagecraft. A year after winning a Sydney Theatre Award, Georgia is back in South Australia performing in the State Theatre Company’s Things I Know To Be True. Well, one thing we know to be true is George is not only talented AND related to Steve Davis, she’s also on The Adelaide Show. Georgia is also a key member of Sport For Jove. And our song this week is Goddamn Anything by Wasted Wanderers, selected by our musical curator Dan Drummond, from iSA Radio, an online station streaming independent South Australian music 247. Georgia gave us the clap – We’ve done that already. 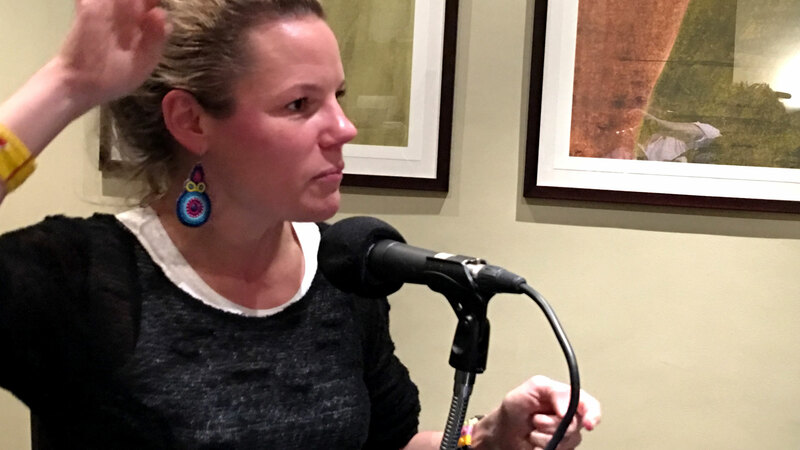 How wonderful to be invited to join such a fun podcast. We love a glass of good red and a great chat. Thought the tasting notes were spot on. Here’s to all the great directors. Isn’t Dionysus the god of theatre and wine?